At Holiday Inn Brisbane, you are assured of a warm welcome and not just from the staff. The city itself is also renowned for is close to perfect climate and relaxed style. Situated just a short stroll from the city centre and close to all transport facilities, including the Brisbane Transit Centre and Airport AirTrain CityLink, theatres and major shopping mall. Holiday Inn Brisbane is also only a brief train tide from the Southbank Parklands and Brisbane Convention and Exhibition Centre. Everything is within easy walking distance of the centre of Brisbane, Australia. There's no better place for business or pleasure. At Holiday Inn Brisbane you will find 191 well appointed rooms ranging from standard and superior, to king studios with views of the city or parklands, business class amenities including a fully stocked personal bar, desk and your choice of newspaper each morning. Children are welcome at Holiday Inn Brisbane. Children up to the age of 12 years stay and eat for free when using existing bedding. 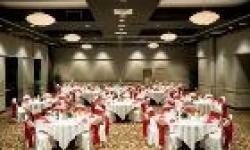 At Holiday Inn Brisbane they also understand the importance of a well-executed conference. Equally important are the facilities and services within the conference and the Hotel has everything required for your special event. 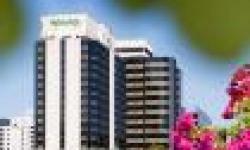 Holiday Inn Brisbane offers both business and leisure travellers a dependable, welcoming and relaxed guest experience. Holiday Inn Brisbane offers a range of outlets including MJ's Restaurant & Bar for contemporary fare and the Queenslander Bar, specialising in delicious counter lunches, gaming machines and a TAB.